As such, over the course of the last 15 years the man behind the music, Brian "Chinetti" Schijf, has toured the globe playing clubs and tours in New Zealand, Europe, Japan and both the Americas, whilst releasing on imprints like Clone, Eat Concrete and Creme Organization. ''I want to dive into a sound and make it my own'' says Schijf ''I just like to share my passion for electronic music with others. It's really just a passion for synthetic sounds that I have - there's no real philosophy or bigger picture to it.'' The exact scope of that passion entails a love of analogue hardware, the uniquely charming and aged sounds which come from such tools and playing live, for which he has a great reputation. You will often find Orgue Electronique working with fellow Dutch talent and friend Legowelt, with whom he is referred to as 'The Canon of 50 years' Dutch Pop' given their all encompassing approach to music making which draws on myriad genres, sounds and scenes and turns them into some fresh, analogue coated ideas. 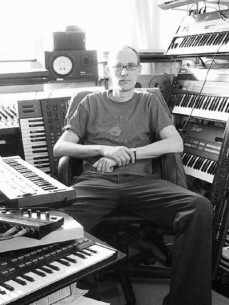 Collaborations with Legowelt in particular have received critical acclaim, the release on labels like Bunker Records lighting up dancefloors with aplomb.